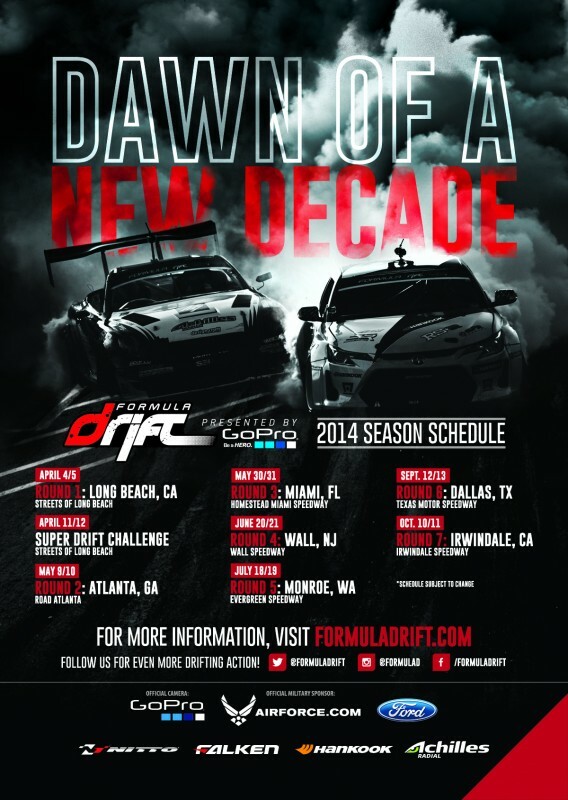 Long Beach, Calif. – July 18, 2014– Formula DRIFT PRO 2 continued the season at Evergreen Speedway with the second of four rounds of competition. 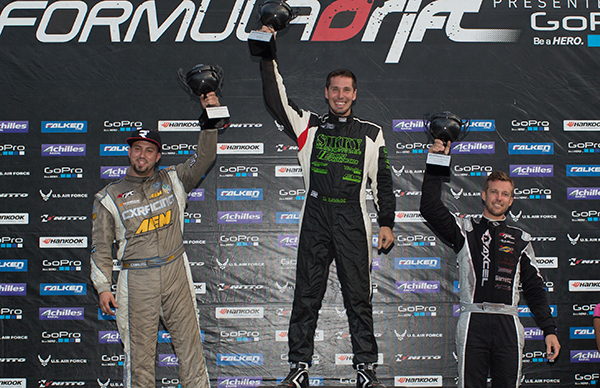 Dan Savage in the Sikky Manufacturing Mazda RX-8 takes the victory and shares the lead in the standings. PRO 2 continued today at Evergreen Speedway. PRO 2 was introduced as an intermediary series between the Formula DRIFT Pro-Am and Pro Championship to help drivers get acclimated to the competition level and venues, while gaining valuable experience. As the first year of the PRO 2, drivers that are eligible include both licensed Pro-Am and Pro Championship drivers. Drivers were also given the option to compete in both Pro 2 and the Pro Championship. Dan Savage met Jeff Jones in the CX Racing S14 in the final battle. Jones spun to give the advantage and victory to Savage. Coming in third place was Jeremy Lowe in the Enjuku Racing Mazda RX-7, who currently stands in third place for the PRO 2 Championship. Posted in Videos | Tagged chelsea denofa, Evergreen Speedway, gopro, matt powers, Nitto Tire, Round 5, Seattle, Vaughn Gittin Jr.